The best website platforms give you a great user experience, top-rated security, room for customization, SEO management, responsive web options, and easy scalability, all at a great price. That’s not much to ask, right? Many of these factors are easily comparable, but “a great user experience” is thoroughly subjective. Consider the web design experience that’s going to make you comfortable, not the platform that’s simply the most cost-effective. The web platforms we recommend are HubSpot and Drupal. Each offers solid benefits to their users that are worth considering when you’re shopping for a new web platform. However, these programs can be very different in terms of the overall user experience, so weigh the pros and cons before you select one for your web project. Those planning to use HubSpot for marketing can also use the web platform to maintain their business’s website, allowing you to keep all of your web and marketing content in one central hub. HubSpot websites are responsive so they can scale for easy viewing on any sized device. SEO management is built into the program, so no additional plugins are necessary. Hosting, security, and monthly updates are automatically managed by this platform. HubSpot offers high quality user support. HubSpot allows you to integrate a few tools into your website such as EventBrite or SurveyMonkey, but these will need to be managed with their own accounts. HubSpot websites have limited functionality with few modules to upgrade. HubSpot is set up to build basic business websites. For those looking to create a site with a blog, landing pages, and a simple, classic design, HubSpot is the platform for you. The platform is easy to use and takes care of a lot of the maintenance for you, which makes it ideal for those that are looking for a no-fuss approach to maintaining their webpage. If your business requires a more complex website — or if HubSpot just isn’t for you — consider Drupal. Drupal is an enterprise-class CMS so it offers high security, flexibility, and a wide variety of resources to its users. Creating a high-functionality website is easy with thousands of modules available to customize layout, design, and operation. Web layouts can easily be updated to meet the latest SEO standards from major search engines. Responsive webpage creation is easy and user-friendly. The cost is $70 for monthly maintenance and hosting compared to $300 for HubSpot. Drupal requires monthly maintenance to install security updates and patches. You will need to budget for hosting. You must be proactive about updating your website every two to three years as older versions of Drupal go end-of-life. 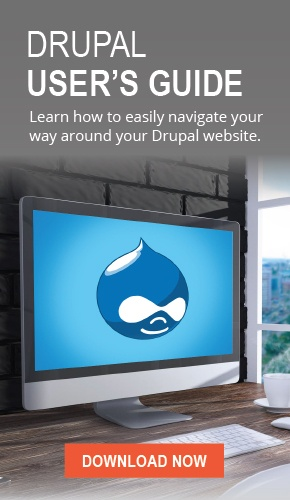 If you’re looking to build a website that goes beyond the basics, you will be impressed with the wide variety of compatible modules accessible through Drupal. This platform is also cost-effective, though you are expected to be a bit more proactive about maintenance for that lower price. Consider your business’s priorities before finalizing your choice in web platforms. Do you need a platform that focuses on making the user experience simpler, or are you hoping to maximize your options for what your website will be capable of? You don’t want your website’s maintenance to be an all-consuming chore. Take the time to carefully weigh the pros and cons, ensuring that you choose a web platform suitable to your needs.